Dr. Moghaddam is a leading dentist who has achieved accredited dental professional status. After graduating with distinction from Tufts University with a D.M.D. in 1994, he was a faculty educator. He is also an affiliate and past researcher of the National Institute of Health, and a faculty member of the Boston University School of Dentistry. 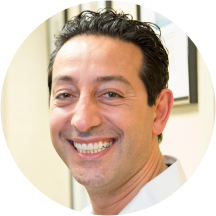 Dr. Moghaddam is a member of the American Dental Association and brings a vast knowledge of dentistry to his work. This is complemented with state-of-the-art technology and a safe, comfortable, compassionate, and caring environment. His professional certifications include Invisalign, Lumineers, and dental implants. Dr. Moghaddam looks forward to seeing you at your next visit! Dr. Moghaddam was truly wonderful. I had a dental emergency while on vacation and needed to see someone immediately. His office had me in and out within 40 minutes total! He calmed me and let me know exactly the best treatmentfor my tooth. I left thinking, "wow, wish I had him as my normal dentist!"